Rihanna attends the FentyXPUMA Drippin event launching the Summer '18 collection at Coachella on April 14, 2018 in Thermal, California. Rihanna showed off her beach body in a pink and black one-piece by Fenty x Puma at the Summer '18 collection launch. 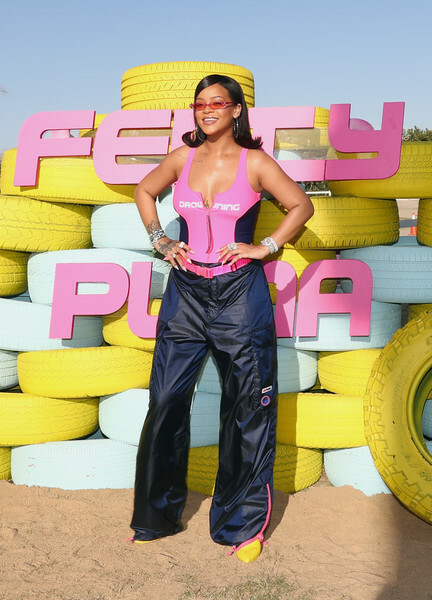 Rihanna teamed her swimsuit with baggy black sweatpants, also by Fenty x Puma.